New Orleans The headline in the New York Times caught by eye, saying “The Pitfalls of Giving Big but Thinking Small” with a subtitle that was even more interesting to me: “Donating Large Amounts to Social Change Groups Can Be Complicated, but it Isn’t Impossible.” Wow, I work for a social change group. I could really be helpful in answering this question, if someone is really asking. With a global footprint and mission as big as America and as broad as the world, “giving big” and “large amounts” both sound a bit like music to my ear. What’s up? Where does the line start? The foundation of this presumptive “news” story was a report by something called Bridgespan Group, which is only described as a “philanthropic consulting firm.” One of its founders is quoted saying, “…if you wanted to put $1.8 billion to work to drive social change, how would do it? It’s hard.” Really, who knew? Well, according to Bridgespan this is a vexing problem for the ultrawealthy, defined as those few who have more than a half-billion bucks of wealth. Tom Tierney, the Bridgespaner, also claims that, “There is by all indications a sign of intent by the super wealthy to increase their giving to social change…but we haven’t invested in the pathways to let them to this in a productive way.” Hmmm, so you say. What’s going on here? Bridgespan turns out to be the nonprofit offspring of Bain Capital. Tierney turns out to have formally been the managing director of Bain. Bain is famous to most of us little people as the platform for Mitt Romney and numerous others who ply the lucrative practice of corporate consulting. 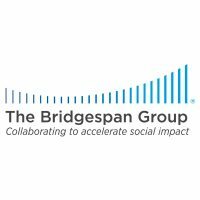 Bridgespan became the stepbrother once removed after Bain did several studies discovering how much money was in the nonprofit sector and realized its brand didn’t lead well to mining this rich vein, so building a bridge span (get it?) to Bain would do the trick. Funny thing? Been there, done that! In 1976, Drummond Pike founded the Tides Foundation and its family of organizations in San Francisco to do exactly that, and it has done so for over 40 years quite well thank you, as an organization with revenue over $100 million and assets over that level as well. The Tides operation is regularly ranked near the top of the largest nonprofits in the country by the Chronicle of Philanthropy. Bain and Bridgespan are based in Boston, so maybe they are so old school and business-bound that they don’t think of something way over in California as truly American? No, that’s not it, is it? This report seems to be a little more than a marketing piece for Bridgespan and Bain with a cover story as a research document in hopes that someone among these supposedly social change besotted superrich folks will read it and, say, hey, great idea, Bridgespan, why don’t you get on the stick and create this national community foundation for America?. They have made the case that this is oh so hard that the superrich can’t find the “pathway,” which means I guess that they don’t know how to call or fly to San Francisco and visit with Tides, so Bridgespan can do it all for them and collect their 20%. Call or email me if you need the address for Tides, it’s still at the Presidio in San Francisco. Or, better, send me the money directly, and we’re good to go! One last question that’s a headscratcher to me? Why did the New York Times run this thinly veiled puff piece for Bridgespan and Bain without it saying “Advertisement” at the top like the other ads? Gulfport The recently approved tax bill is an abomination without any doubt. It’s claims of reform are a poorly crafted mask for a transfer of wealth from virtually all of us over the coming years to the coffers of the rich and corporations. Despite a couple of public relations stunts based largely on favorable tax savings when Verizon and Wells Fargo offered raises and bonuses to their workers, most economists are skeptical that any of these huge corporate savings will trickle down. Polls indicate that Americans think the bill stinks, and President Trump thinks it’s wonderful, so there we have it. Nonetheless, one thing that is clear for individual and family taxpayers is that the standard deduction will rise for individuals from $6000 to $12000 and for couples to $24,000 beginning on January 1st, 2018. Without a doubt there are going to be some people who begin this roll with a smile on their faces. There has been a quiet, but steady hum in the background though from charities of all places. Very little of their complaints are full voiced because the whining seems so unseemly, but increasingly some of the larger ones are wringing their hands more loudly because they aren’t happy that their appeals for tax deductible contributions will be so meaningless to those largely middle class families who might have made contributions thinking they would benefit by itemizing, but now won’t bother. Additional research by the Foundation indicates that a majority only itemize once their income hits the $75 – $100,000 per year range, with 78.8% itemizing between $100-$200,000, and 93.5% itemizing over $200,000 per year. Pretty clear where these benefits lie. The impact of these Republican tax giveaways likely just means that more families with less than $100,000 to $150,000 won’t itemize, but those making $150,000 or more will still be doing so. Lower income families already give a higher percentage of their incomes away according to most research, regardless of the tax benefits. 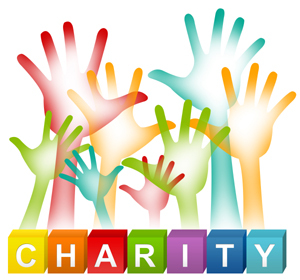 Perhaps it is time for charities to start making their appeals based on their programs and benefits regardless of the supposed tax benefits, so that people give because they believe in the nonprofit’s mission rather than trying to stiff Uncle Sam. At the least they need to stop whining, because they are clearly crying wolf way too often since their rich donors will be doing very well thanks to the Republican’s special care for their interests.